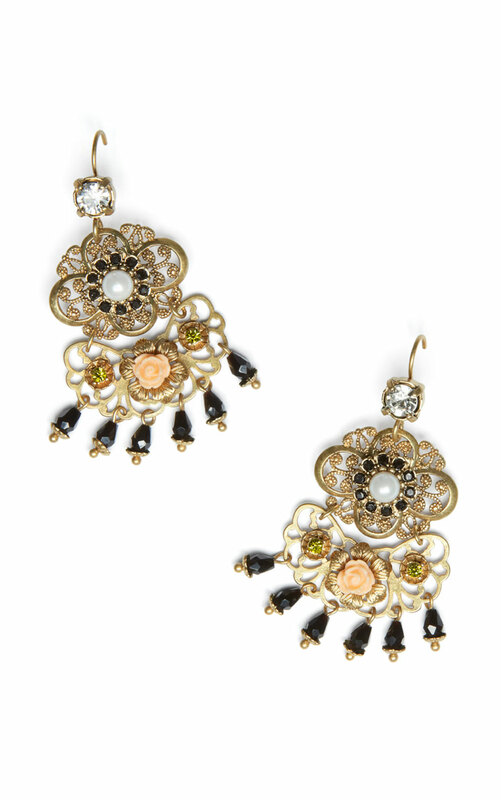 These feminine and flirty statement earrings pair a mix of antique gold-finished pieces adorned with pink stones and black dangly gems. The Cha-Cha Earrings pair perfectly with the Cha-Cha Charm Necklace. Loving the Cha-Cha Earrings? Share how you’re wearing it on Instagram, and browse through all the inspired ensembles for fresh ideas.